Today we made some Easter biscuits. 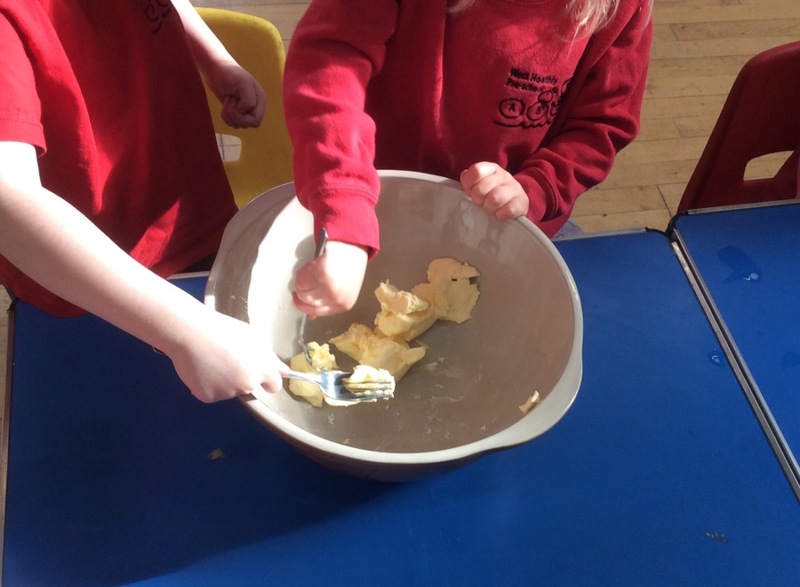 All the children participated by helping to weigh out ingredients and taking turns at mixing. 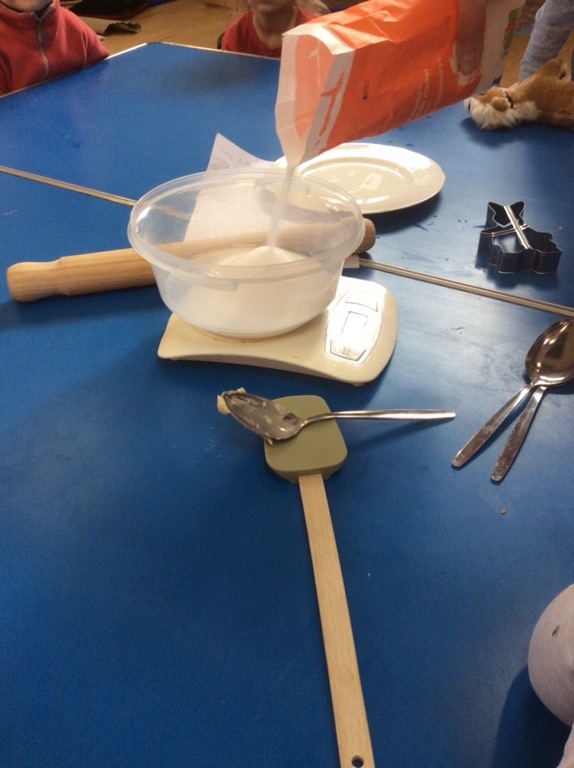 This was also great sensory activity using touch and smell to explore the different ingredients. 200g butter, 150g caster sugar, 2 egg yolks, 400g plain flour, 1 tsp mixed spice, 1 tsp ground cinnamon and 2-4 tbsp milk and items for decorating the biscuits. Heat the oven to 180 degrees and grease trays. Sieve in the flour and spices, then add enough milk to make a soft dough. Roll out until around 5mm in thickness. Bake for around 15mins, or until pale golden brown.